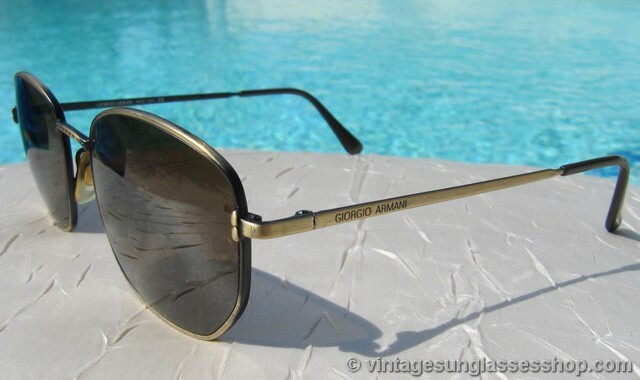 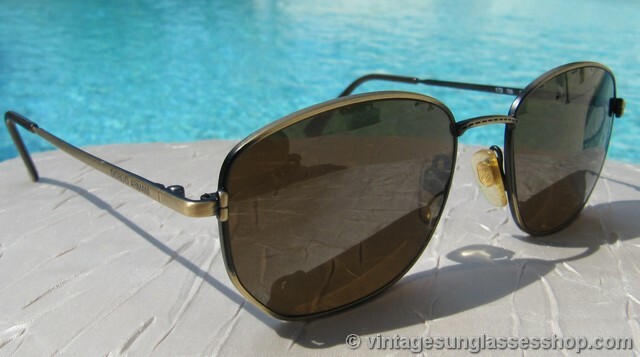 Elegant Giorgio Armani 173 705 sunglasses feature an antique gold frame with hues of black mixed in and very uniquely shaped Armani brown mineral glass lenses. 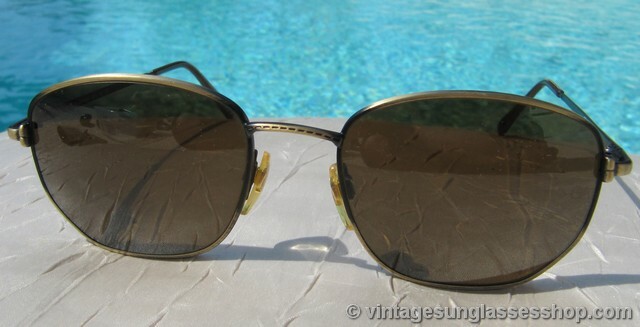 The angular lens shape might be described as loosely hexagonal, but the top angles are more rounded and must have been very difficult to craft. 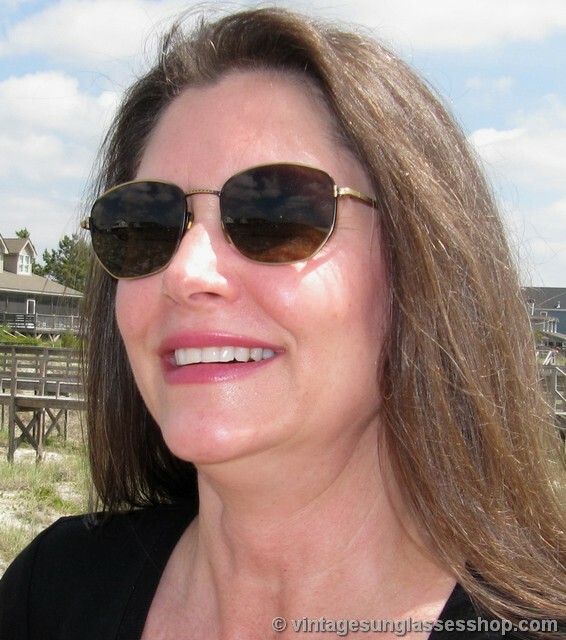 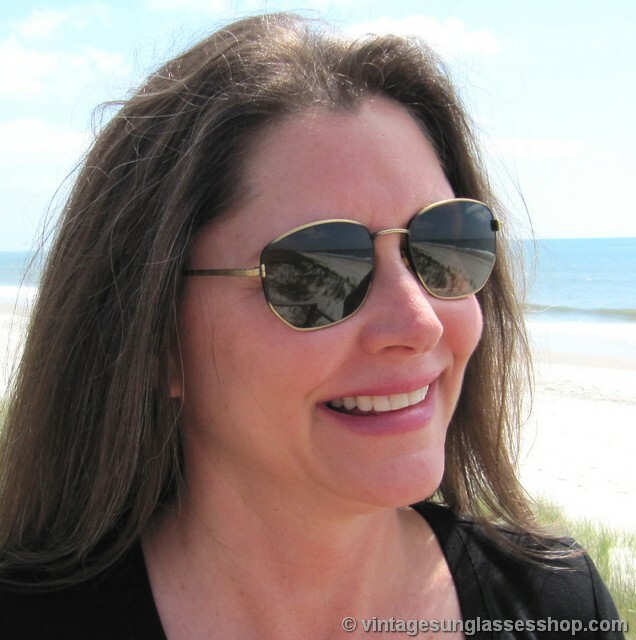 The brown and antique gold is a great color combination that goes well with most everything, and it's a perfect unisex frame size at approximately 5.25" temple to temple with lenses measuring approximately 2.0" x 1.75" at the widest points. 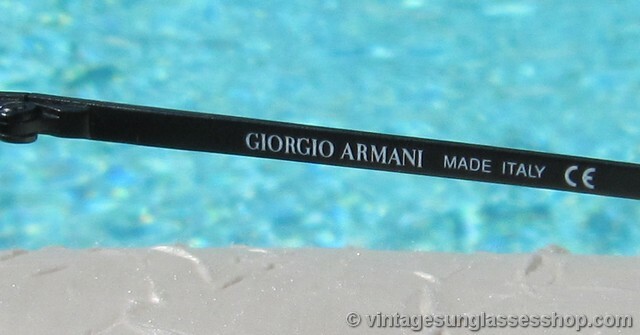 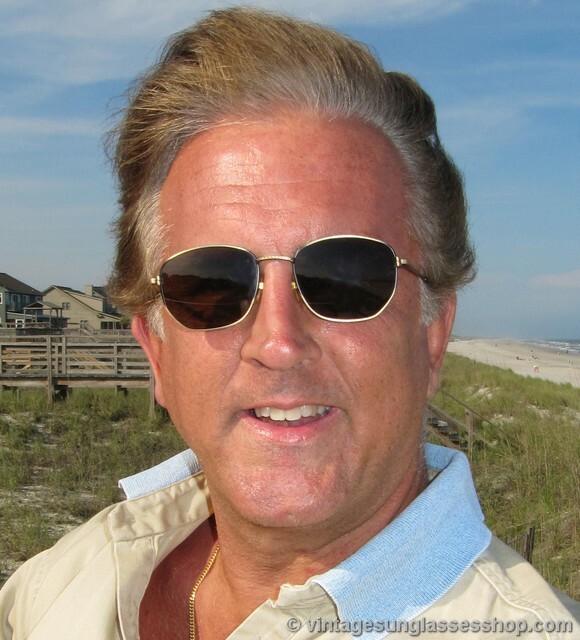 The Giorgio Armani logo is subtly etched on ear ear stem near the hinges, and the inside of one ear stem is marked Giorgio Armani Made Italy CE while the inside of the other stem is marked 173 705 52  18 135. 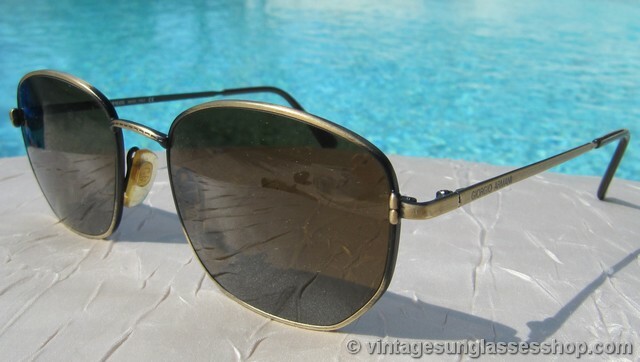 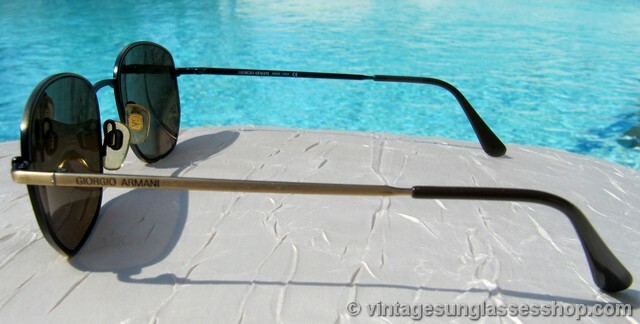 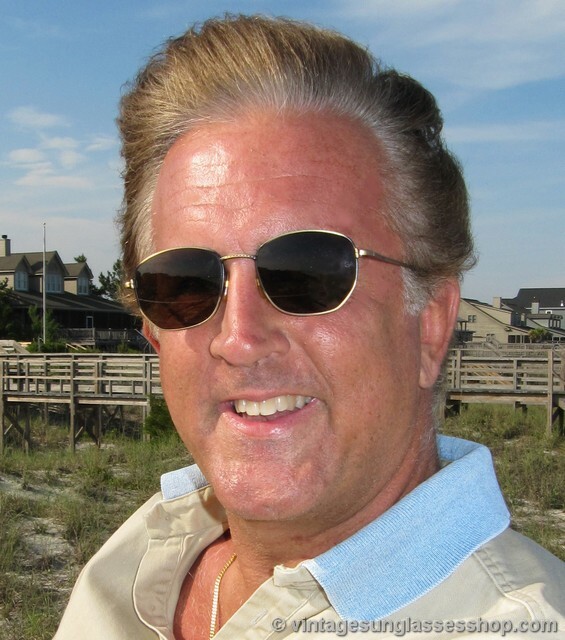 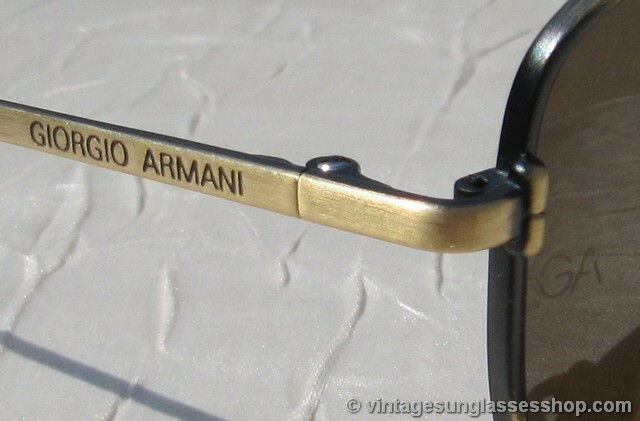 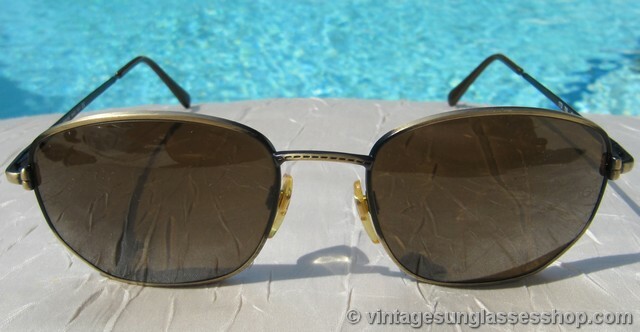 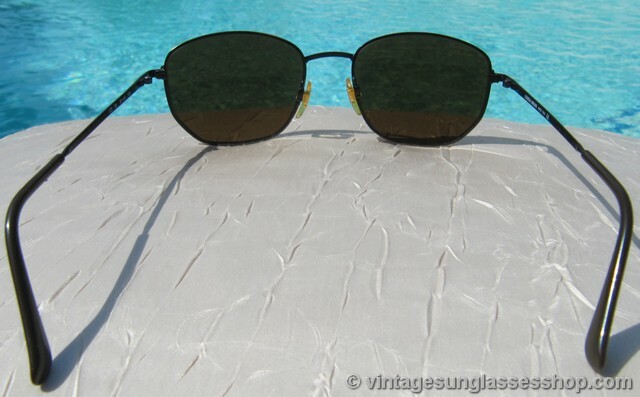 Part of an Atlanta, Georgia sunglass collector's trove, each lens of these vintage Armani sunglasses is laser etched GA near the hinges, and they also retain the original marked GA celluloid nose pads.